Experience our Espiritu Santo Getaway Package! Your trip includes 3 full days of activities – snorkelling, kayaking, hiking and even a trial scuba lesson! You will spend 2 nights aboard our well appointed vessel, El Duque. Spend your evenings star gazing and listening to the waves lapping on hull and rocking you gently to sleep. 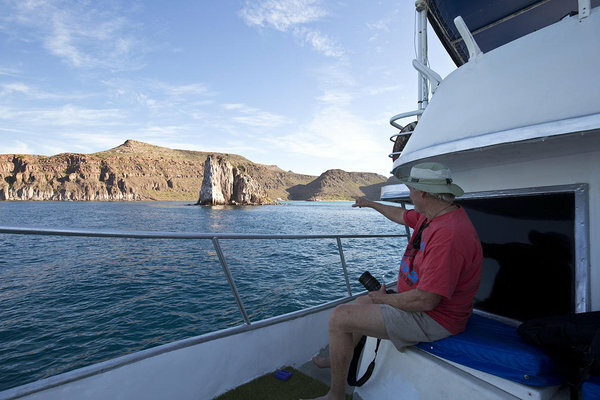 On this trip we will spend our time around the Espiritu Santo Archipelago, often called the Jewel of the Sea of Cortez. There are numerous sandy bays and beaches to explore, reefs to snorkel and abundant wildlife above and below the surface. There is a famous and very playful colony of sealions at the northern end of the island and we will make sure that you get the chance to visit them. There will be a maximum of 8 adults on board the boat, you will be staying in a shared cabin. We can accommodate specific dietary requirements as long as we know in advance. Departure time is 8:30am, we strongly suggest you spend the night prior in La Paz. We arrive back in La Paz about 5-6pm for departure from the vessel. We can assist with accommodation pre or post trip as well as transfers. Please get in touch.